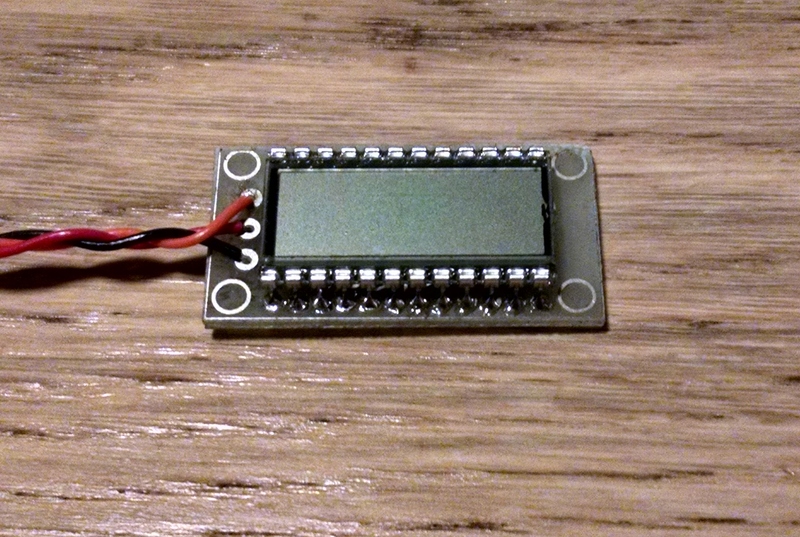 I had a need for a LCD display that consumed very little power and generated very little digital noise . You can buy LCD’s with driver chips but I have had great difficulty with these modules because they create excessive wide band noise. To solve this problem, I made an LCD driver out of a 18F26K22 PIC micro-controller and a low cost static LCD display module. A static module requires more pins( a pin for every segment) but the drive logic is easier to implement. You cannot simply drive the the LCD segment high or low, as with a seven segment LED display. Once the capacitance of the display charges up, the segment contrast fades. The solution is to cycle a given segment on and off at rate fast enough not to strobe(100Hz in my case). In my design, the display is driven by a four byte serial data packet which consists of: <startbyte>,<digit1>,<digit2>,<digit3> . The data bytes are sent as rs232 data at 9600 baud. The module is clocked using the internal RC clock at 1Mhz and only draws 500uA when operating. It must be operated at greater than 4v or the LCD will be faint. If using a 3v supply, you can use a simple Dickson voltage doubler circuit to generate the supply voltage.